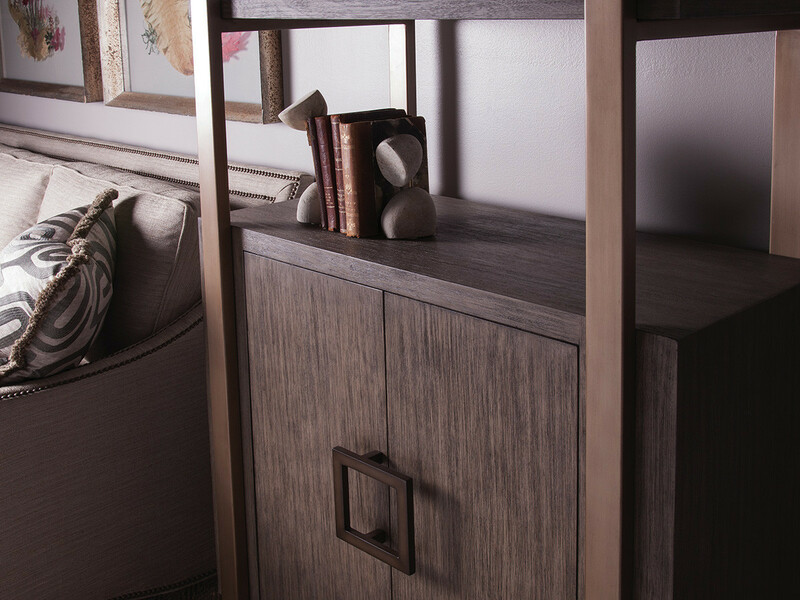 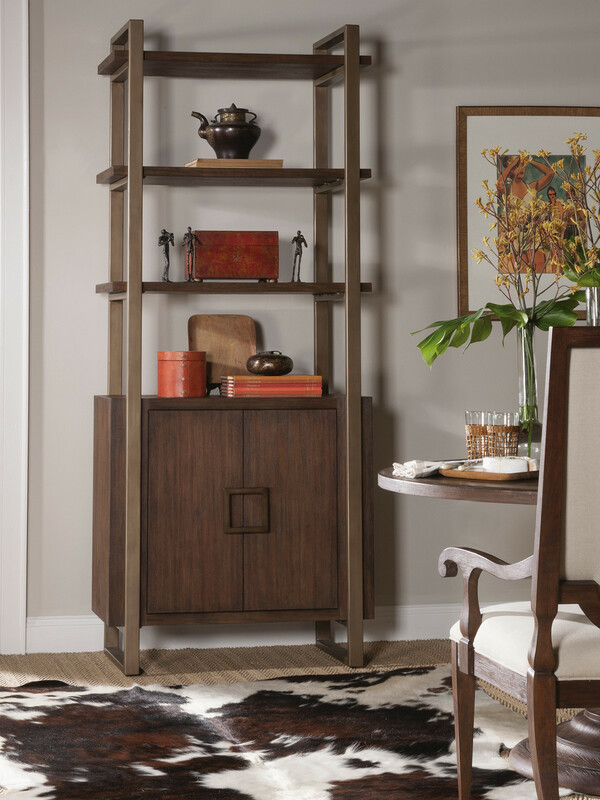 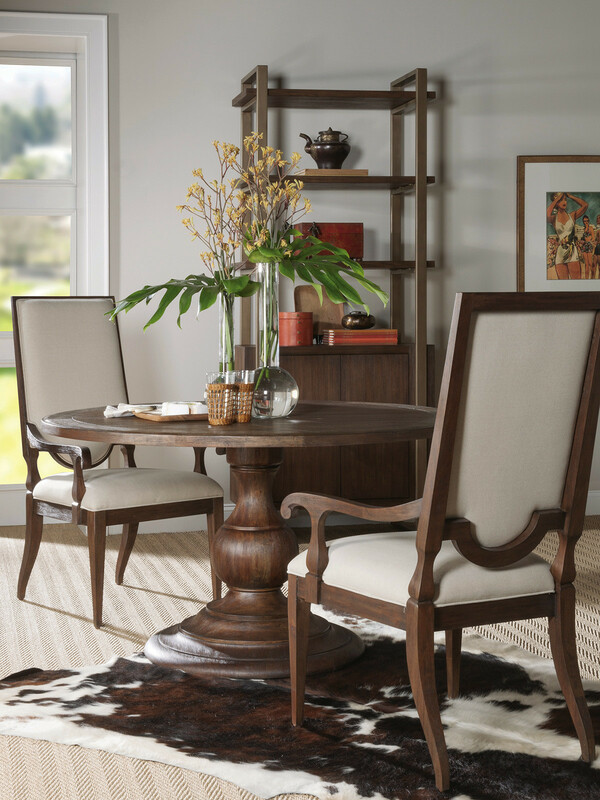 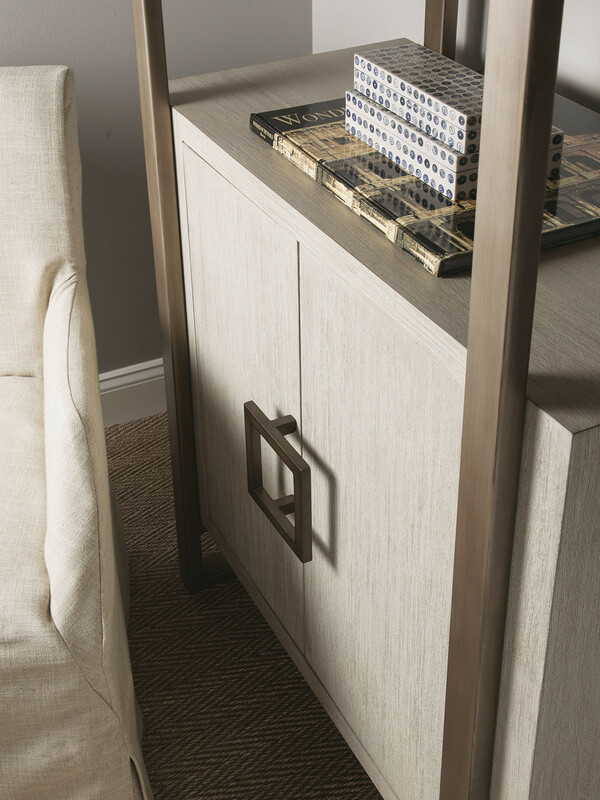 Mahogany solids and veneers with hand wire brushed graining balance the metal frame and hardware in a warm metallic, hint of copper, finish. 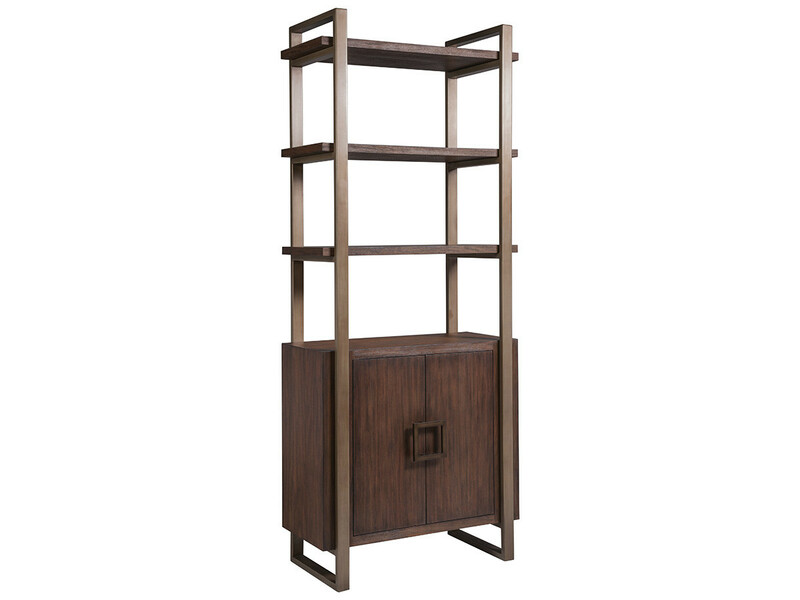 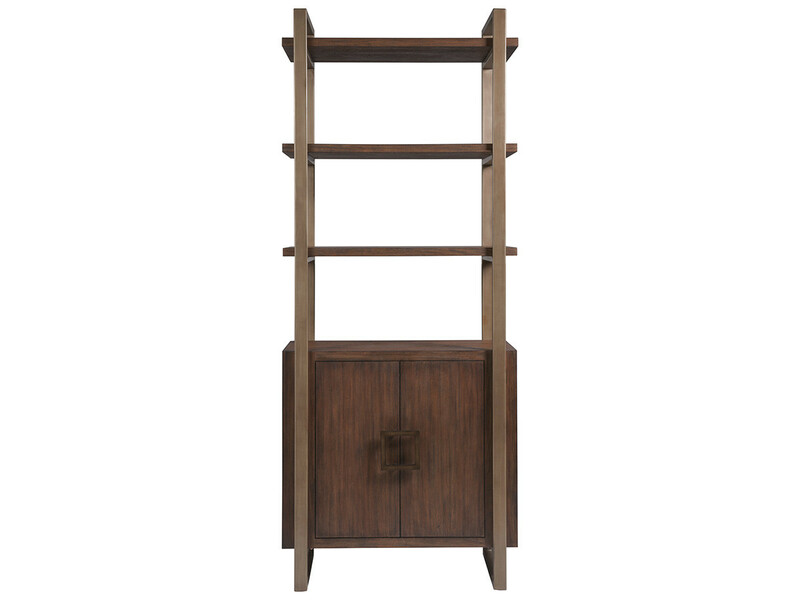 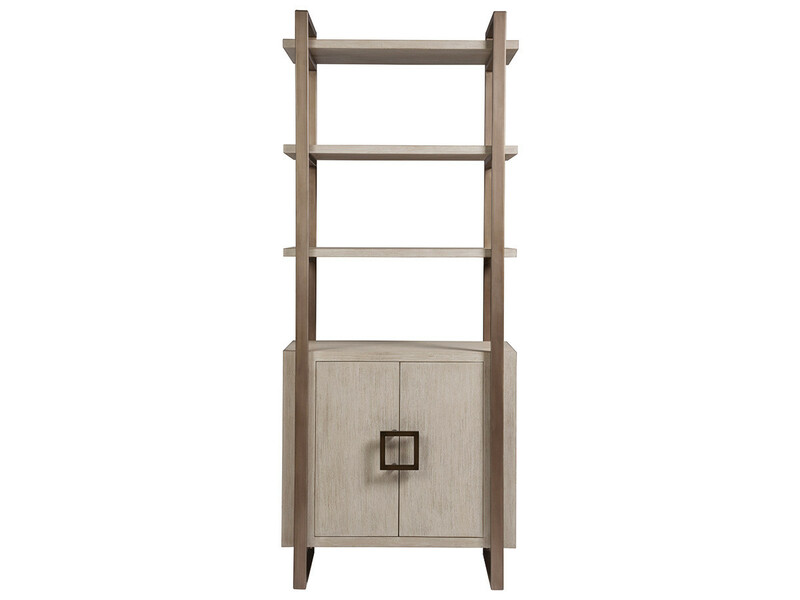 The upper section features three stationary woooden shelves and the two doors open to two adjustable shelves. Available in all three Cohesion finishes - Bianco, Grigio, and Marrone.